Hello everyone, and welcome to this week’s edition of the Wordless Wednesday Blog Hop hosted by my friend Deb from Focused on the Magic! The theme for this week is Dreams, and when you see Deb’s post and photo, you’ll see a beautiful picture of Cinderella Castle all decked out in her Christmas coat of lights, ready to dazzle and amaze all of you that have been able to see her! So then why am I posting a picture of the Walt Disney: One Man’s Dream attraction from Disney’s Hollywood Studios? Well, quite simply, because I haven’t been to Walt Disney World for Christmas yet, so the only photos I have of Cinderella Castle would be ones that others have sent to me. 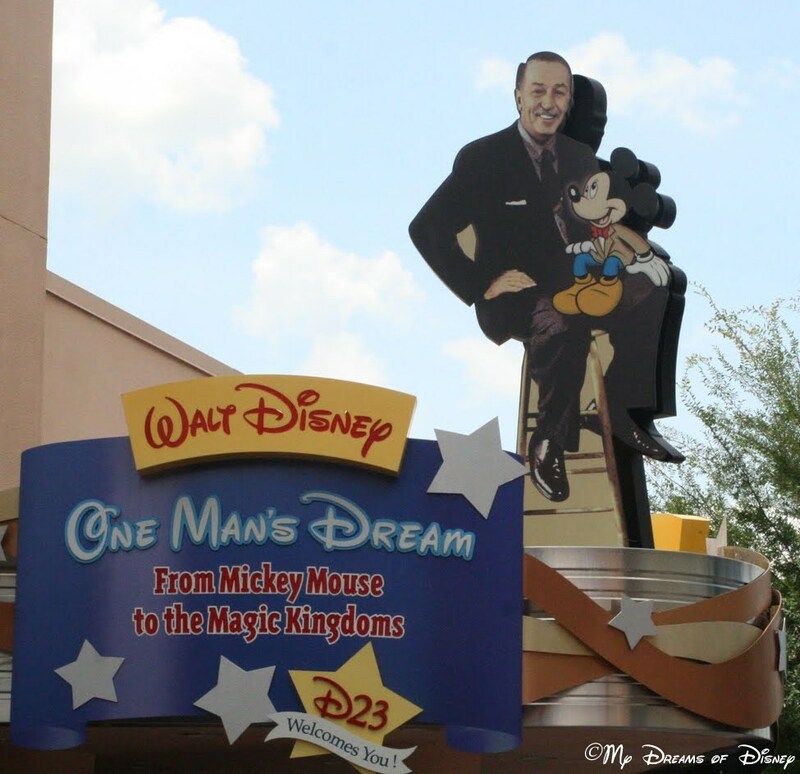 Since The Man, as I think of Walt Disney, was the ultimate dreamer when it came to Disneyland and Walt Disney World, I figured I would focus on him for this post! Thanks for stopping by and visiting today! Make sure you check out the rest of the entries for this week! Don’t forget that we are in the middle of our latest contest — who wants to win a $150 Disney Gift Card and customizable Disney tote bag? Start dreaming now and let me know what you would use that gift card for! Great post!! I love that you posted about Walt! Great point made. We almost went to see this on Walt’s birthday and I now wish we had. Instead we went to see the new Pirate attraction. Great choice! Where would our Disney dreams be if it weren’t for Walt Disney?! I do hope you get to see the dream lights on the castle one day. It is so beautiful! Great choice for this week! None of our Disney dreams would be possible without Walt! Keep believing – I’m sure your wish to see the Dream lights will come true one day!